The city of Cannes will once again unfold its red carpet to welcome the world-famous Régates Royales, organized by the Yacht Club de Cannes, celebrating their 40th anniversary. 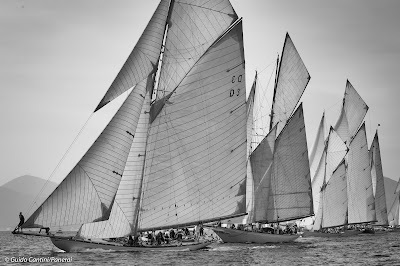 The crème de la crème of classic yachting will gather from September 22 to 29 in the stunning Bay, for a unique show on and off the water. “We are going to celebrate a key anniversary this year, the 40th edition of the Régates Royales. No, nothing to do with the Roaring Forties, those are for far away places. We will take particular care of this event in 2018 and, once more, we rely on our faithful sailors to make it a success, a complete and unforgettable festive event.” Declared Jacques Flori, President of the Yacht Club de Cannes.